Songs This has been a very busy week for me. Honestly, I am sure many of you have felt the way I do at times….there are just not enough hours in the day. That being said, I am going to choose a song this week, just because!! The only personal connection I will make to this song is that I love it, everything about it. The lyrics are beautiful. 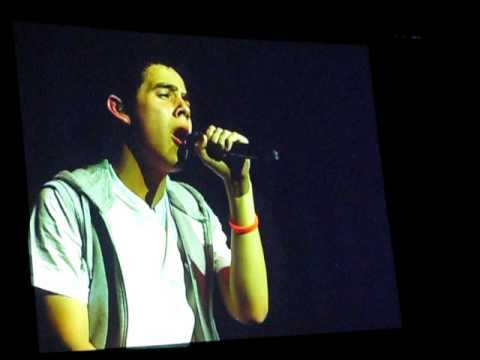 The way David Archuleta’s voice sounds, the way he expresses himself when he sings it. I could go on and on and say the same things about so many of David’s songs. So, I won’t keep you waiting any longer! 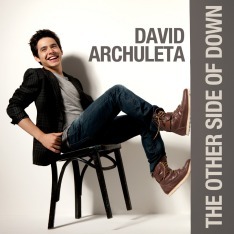 “Somebody Out There” was co-written by David Archuleta with Mike Krompass and Steve Diamond. It is a beautiful song. At many of his concerts David has shared with his audience that he wrote this song to convey an important message: That sometimes when we see a friend or loved one going through a difficult time, we should let them know that there is always somebody out there who will try to help them through it. Unfortunately, the song was released as a bonus track on David’s self-titled debut album (Deluxe Edition) through iTunes, on pre-orders of that album only. In my opinion, a real shame because it is such a lovely song. “Somebody Out There” has become a theme song for the charity, Rising Star Outreach, which is very near and dear to David Archuleta. Because of that, many of his fans have donated to that charity in David’s name. The song so perfectly expresses the help and support David and his fans have brought to Rising Star Outreach. You can visit: www.angelsforacause.org or www.risingstaroutreach.org for more information about donating. David singing “Somebody Out There” at a concert he gave in his home state of Utah. This is a beautiful performance! I think it’s time that you knew it was me. Katie, I also love this song. It is beautiful and knowing it’s from David’s heart makes it all the more special. Thank you for posting this in the midst of a busy week. I’m so glad we have David’s music to make a busy week much less stressful. Great song…..one of David’s favorites! Mine as well! I’ve done enough rolling of the eyes and shaking of the head over decisions made by music execs at Jive/Zomba to be in a perpetually dizzy state! “Somebody Out There” is a gem of a song, and it should have been included on the album in place of either “You Can” or “To Be with You.” It’s not as though I don’t care for those songs, but in my opinion they don’t compare in terms of melody, lyrics, or poignancy. I also hear more of David in this song, which makes sense due to the fact he co-wrote it. I want to thank everyone who responded to this ‘Song of the Week’ post…I love reading your thoughts! Katheryn, like you I am very confused by the way Jive has handled David and his music career. Case in point, the recently leaked song “She’s Not You”. This song sounds to me like a very good radio hit. Something similar to what I have heard from a very popular, new, young artist who seems to have become popular very quickly and I still am not sure how he did it. Good producing and lots of publicity have helped I am sure….but still I am not understanding it. David has sooo much talent, pure natural talent. Yet, he is not played on the radio. Why? I just don’t get it!! I too have had to shake my head over the way decisions are made. I just hope David’s next album will be pushed more than the first was. I do have to disagree with you about the songs, “You Can” and “To Be With You” however. Those are two of my favorite songs along with “Somebody Out There” and I am so glad they are on the album. I would have rather seen songs like “Don’t Let Go” and perhaps “Running” left off instead, but that is just my opinion! 😉 Hopefully the powers that be will make much better decisions on David’s music this next time around! Take care all and thanks for taking the time to read my posts! Katie: I singled out “You Can” and “To Be With You” because they are the most similar in type to “Somebody Out There,” not necessarily because they are my least favorite tracks. Jive made a conscious decision to include a mixture of songs on the album, and there was room for only so many songs of a certain genre. That being the case, “Somebody Out There” deserved to make the album over the other two in my opinion. You are absolutely right about marketing and publicity propelling that certain other young singer to popularity. Judging by what I have read at Wikipedia, he has some big names in the music industry backing him, which helps explain his rather startling rise to the top. Neverthless, he seems strictly teen idol material to me. I wish him well, but I have absolutely no interest in him as an artist, and I rather doubt he has many fans over the age of 15 or 16. First off, I want to thank you so much for taking the time to stop by and read my post! I see what you are saying about the song “Somebody Out There” being along the lines of “You Can ” and “To Be With You” and I am sorry of it sounded like I didn’t think you liked those songs as well. I guess I just can’t figure out at all, the way ‘the powers that be’ pick and choose the songs that will go on an album. I must say that I am glad David is not just a ‘Teen Idol’. You are so right, he has fans of all ages….both male and female. 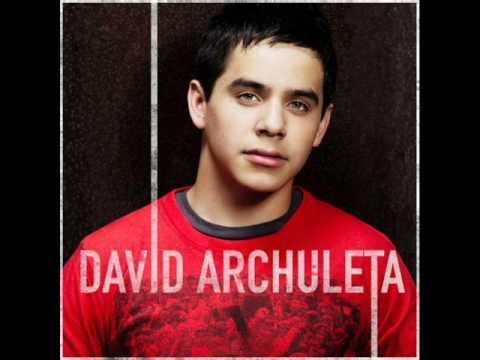 David will be around along time, not only becuase he is so talented but because he has reached a much wider audience.